Editor’s note: Dan Sichel is an economics professor at Wellesley College. This analysis is being published here in collaboration with EconoFact, a nonpartisan economic publication. President Donald Trump recently floated the idea of raising the federal tax on motor fuels by 25 cents per gallon as a way to pay for improving the nation’s roads, highways and bridges. Federal taxes on motor fuels (gasoline and diesel) have historically been important sources of funding for highways and mass transit. But the revenues derived from these taxes have been decreasing and falling short of existing needs. While some business interests, such as the U.S. Chamber of Commerce currently favor raising the tax, it has faced staunch political opposition over the past decades. U.S. federal taxes on motor fuels are low when compared to those in many other advanced economies. U.S. federal taxes are currently 18.4 cents per gallon of gasoline and 24.4 cents per gallon of diesel. Consumers pay an additional amount per gallon in state taxes, which averaged 28.3 cents per gallon for gasoline and 29.3 cents per gallon for diesel at the start of 2018. Fuel taxes range widely from one state to another. For instance, Alaska charged nearly 9 cents per gallon of gasoline while the state of Washington charged 49.5 cents per gallon as of February 2018. Nonetheless, Americans on average pay much lower fuel taxes per gallon than their counterparts in other advanced economies: while U.S. consumers pay on average about 50 cents per gallon in combined federal and state taxes, people in many European countries pay over $3 in taxes per gallon of gasoline (see here). Federal taxes on motor fuels have fallen over the past 25 years after adjusting for inflation. At the federal level, these taxes were first levied in 1932 and were important for the financing of the Interstate Highway System in the 1950s and 1960s. These taxes have not changed since 1993 so, adjusting for inflation, the level of the federal gasoline tax has trended down steadily since 1993 and is well below its 1960 value (see chart). Federal taxes on motor fuels have fallen over the past twenty-five years after adjusting for inflation. Federal taxes on motor fuel have provided less and less support for infrastructure over time. Since the Federal-Aid Highway Act of 1956, revenues from these taxes have flowed into the Highway Trust Fund and have been an important source of funding for highways and mass transit. Up until 2008, revenues collected generally covered the outlays from the fund. In recent years, with the level of taxes falling in inflation-adjusted terms, and with an increase in the fuel efficiency of cars and trucks, this source of revenue has gone less and less far. In terms of revenue generated, federal excise taxes on gasoline and diesel have accounted for the bulk of the total $40.9 billion estimated tax revenue that went to the Highway Trust Fund in 2017. However, this revenue has run well below expenditures for highway and transit programs (see here and page 182 here.) For this reason, Congress has had to transfer a total of about $143 billion to the Highway Trust Fund since 2008 to cover shortfalls. There is widespread agreement that the U.S. surface transportation infrastructure is in need of renewed investment. As reported by the U.S. Government Accountability Office, the oldest portions of the Interstate Highway System are approaching 60 years of age, and 10 percent of the nation’s bridges were rated as structurally deficient in 2015. Moreover, bridge conditions are likely to worsen as a larger fraction approach the end of their 50-year design life. In addition, the American Society of Civil Engineers has given poor grades to the country’s roads and bridges and estimated an $836 billion backlog of highway and bridge capital needs in 2017. The use of motor fuels creates negative externalities – costs imposed on others that are not reflected in the pump price. Calculating the dollar cost of car externalities is difficult. 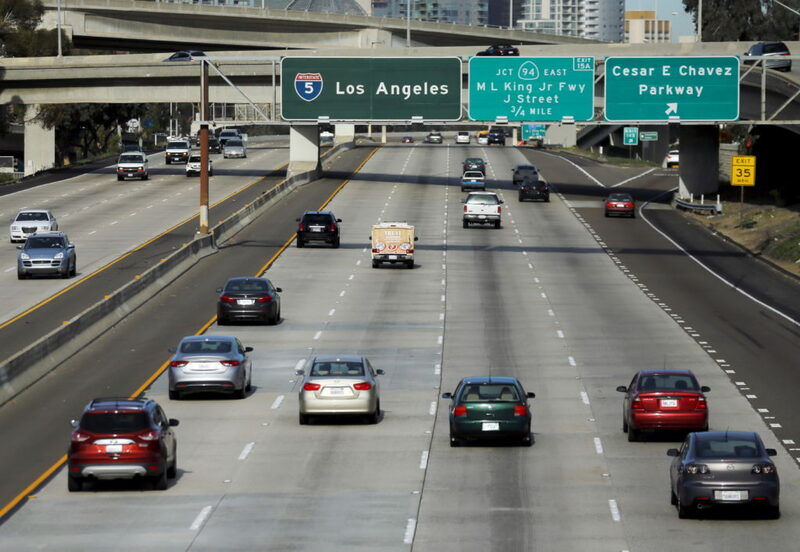 A 2007 article that reviewed the economic research on the topic estimated that a tax of over $2 per gallon would be needed to cover the costs imposed on others from driving (including costs due to congestion and increased accidents, in addition to pollution). 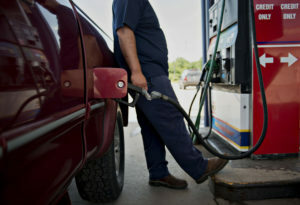 While economists’ estimates of the external costs generated by gasoline are imprecise, Greg Mankiw, a prominent economist who served in the George W. Bush Administration, has suggested that federal gas taxes should be $1 per gallon to cover the negative externalities. Though well above the current rate, that federal rate (combined with state taxes on gasoline) would still be well below that in many other countries. Dan Sichel is an economics professor at Wellesley College.